A three-dimensional fighting game developed by Spike Chunsoft. The game enables the players to participate in spectacular battles fought by characters from popular anime series. Among the playable characters, there are Son Goku, Naruto, and Monkey D. Luffy. 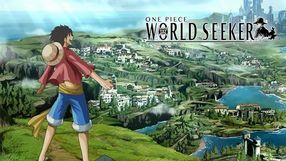 One Piece: World Seeker is a PC adventure game, based on the manga and anime One Piece. You play as Luffy, a pirate, who can stretch his body like rubber. During the game, you explore an open world, complete quests, fight enemies, and complete platform and stealth challenges. One Piece: Pirate Warriors 3 is another installment of the third-person action game series that mixes the mechanics from the cult Japanese hack-and-slash Dynasty Warriors with the world of the popular One Piece manga. The game was developed by Omega Force and published by Bandai Namco Entertainment. The protagonist of One Piece: Pirate Warriors 3 is a pirate named Luffy whose biggest dream is to become the Pirate King. To achieve that, he has to gather a group of swashbucklers similar to himself and face the enemies that stand in the way of his dream coming true. Story Mode is made of a series of missions during which Luffy visits many places and meets characters known from the original manga. Like in every proper hack-and-slash, combat is the game's primary objective. We take part in epic battles with tons of enemies during which we use various cold steel weapons and magic. From time to time we will have to fight bosses, which will require from us a more tactical approach. Another installment in the popular 3D fighting game series based on the best-selling Japanese comic books created by Eiichiro Oda. The title was co-developed by Namco Bandai Games and Spike Chunsoft studio – the creators of Danganronpa and the Conception series. The plot is not very sophisticated as it serves only as a pretext for the most famous One Piece fighters to engage in duels. The game includes all of the important characters from the original manga. What differentiates this title from series like Tekken is the fact that in One Piece: Burning Blood you can control a team of three fighters that can be switched during battles any time you want. Each character has its own set of moves as well as special attacks, called Logia Moves. The key to success is the correct choice of team members, creating a versatile mix of offensive and defensive abilities. An extended version of the three-dimensional fight, which debuted in 2014 on PlayStation 3 and PS Vita. Players have the opportunity to embody their favourite characters known from Japanese comic magazines Jump and take part in spectacular duels in many arenas. Another title from Ganbarion studio, set in the universe created for the One Piece manga. This time Monkey D. Luffy and his crew land on Forgotten Island, ruled by extremely ambitious pirate called Red. Due to certain circumstances the heroes have no choice, but to make their base in Trans Town and defeat Red and his followers. 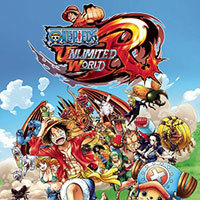 Gameplay-wise One Piece: Unlimited World Red resembles the Monster Hunter series. We have nine Strawhats' members at our disposal, each with unique skills and fighting style. The game uses third-person perspective and focuses on performing missions (which come down to exploration and fighting enemies) and develop Trans Town by erecting new structures, e.g. shops or a museum. These will let us acquire new equipment, tasks to complete and non-playable characters to talk with. All of this can be experienced as a single player title or with up to three other players that will accompany us we hunt monsters and defeat dangerous pirates. Another game developed by Ganbarion and set in the One Piece manga universe. This time around, the main protagonist – Monkey D. Luffy – and his friends get to the Forgotten Island, ruled by an extremely ambitious pirate, who goes by the name Red. Our protagonists are left with no other choice but to set up a base in Trans Town and embark on a quest to defeat Red and his henchmen. The gameplay mechanics resemble those known from the Monster Hunter series: players get to control on of nine different characters, each featuring unique skills and combat system. Players get to observe from the third-person perspective how their protagonists traverse numerous locations, fight encountered foes, as well as visit and expand the aforementioned town by erecting new structures (like shops and museums). In Trans Town, one can purchase new pieces of gear, accept new assignments and talk to various NPCs. 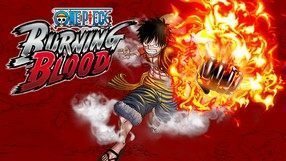 One Piece: Unlimited World Red features both single and multiplayer modes – the latter one allows up to 4 players to join their forces in hunting frightful creatures and defeating dangerous pirates. A 4 out of 4 online brawl for multiplayer fun. The production was based on the popular manga One Piece, telling about the adventures of pirate Monkey D. Luffy. JRPG production based on the popular Japanese comic book series One Piece. Players play the main character of the cycle and experience their first adventures with him on his way to becoming a real pirate. A direct continuation of One Piece: Pirate Warriors, a fast and spectacular three-dimensional action game based on the popular Japanese comic book series One Piece. The title belongs to the Dynasty Warriors production family and contains its most important characteristics, such as fighting dozens of opponents at the same time. Fast and spectacular three-dimensional action game, based on the popular Japanese comic series and its animated adaptation. The title belongs to the Dynasty Warriors family of games and, like other members of the series, it allows us to fight against dozens of opponents at the same time. One Piece Pirates' Carnival is a brawl for PlayStation 2 and GameCube, based on anime called One Piece. The plot concerns the legendary Gold Roger's treasure, called the King of Pirates. Another action game based on One Piece, the best-selling manga in history, created by Eiichiro Oda. 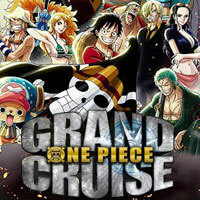 The production is set in a fictional world during a pirate frenzy and you find yourself aboard the ship Thousand Sunny as the newest member of Monkey D. Luffy's crew. 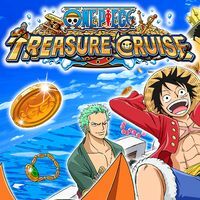 During the game, you participate in naval battles against the navy, with such characters as Nami the navigator, Zoro the sword master, or Brook the musical fencer supporting you. One Piece: Grand Cruise utilizes virtual reality technology and requires the PlayStation VR set to run. Arcade fight, produced by Namco Bandai's development studio. 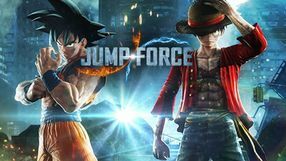 Players have the opportunity to embody their favourite characters known from Jump comic magazines (including Goku Son, Vegeta, Toriko and Zebra) and take part in spectacular duels in five arenas. The game has been designed primarily for multi-player fun. A turn-based RPG published by Bandai Namco and based on a highly popular manga series. Eiichiro Oda's comic book offers a distinctively original atmosphere, which is unique among other Japanese comic books - the story is set in a pirate fantasy world. In terms of the plot, the game follows the manga, so being familiar with that comic book is not required to understand the scenario of the game. The story revolves around Luffy - a boy who wishes to become a pirate king and find the legendary treasure. After he accidentally acquires the power to stretch his body like rubber, which helps the protagonist achieve his dreams. 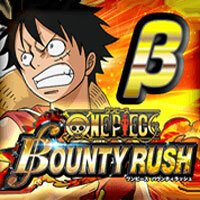 The experience focuses on battling enemies, and Luffy can be accompanied by up to five team-members. Although combat is turn-based, the game features a significant portion of arcade elements - those require the player to go through simple QTEs and combine attacks into deadly combos. Character development and equipping one's team-members with new skills constitute another large part of the experience. Battery with an innovative combat system using the license of the extremely popular Japanese comic book series One Piece. We choose one of the heroes and then fight with other characters. Instead of a flat arena, battles take place on multi-level boards of various elements of the environment that help or interfere with the battle. One Piece: Unlimited Adventure is an action adventure game that takes full advantage of the unique possibilities offered by the Nintendo Wii desktop console. The whole is inspired by a popular series of Japanese comics and animated films. Action adventure game, recreating the events known from the popular Japanese comic series and its animated adaptation. We visit places known to fans, where we face clashes with thirty bosses known from both manga and television cards.